This article was written in Edutopia in 2013 by Suzie Boss, I am sharing the article here. 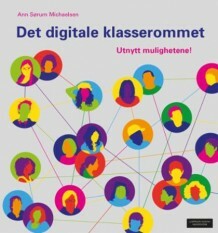 After seven years of leading an innovative high school near Oslo, Norway, Ann Michaelsen had acquired some keen insights about what it means to be a global learner with ready access to technology. So she decided to write a book. Not just any book, mind you. Connected Learners: A Step-by-Step Guide to Creating a Global Classroom, a 219-page digital book, features a cover picture of a group of teens (and one adult) standing in the snow. The byline tells the rest of the story: by 27 students and their teacher Ann Michaelsen, Sandvika High School, Norway. After hearing about this ambitious project online, I was eager to catch up with Michaelsen at the recent ISTE conference and learn more about the story behind this successful effort. Here are highlights from our conversation. Suzie Boss: Tell us a little about your school. Ann Michaelsen: Our school opened in 2006 in a suburb of Oslo. We set a high goal to be innovative — with 1:1 laptops, block scheduling. We have about 900 students, 22 teachers. I’m a school leader and also teach English. The students who worked on this book are in their first year of high school, enrolled in a mandatory English class. It’s a diverse group. There are some top students and some who are struggling. One of the goals of this class is to write in depth about something from your content area. Just before Christmas, halfway through the school year, I told my students I had an idea to write a book together. This could be their in-depth project. I said, “Think about it over the vacation.” When we came back in January, 27 of the 28 students decided to do it. (The remaining student chose to work on an independent research project.) We finished the book at the end of April. How would you summarize the contents? As the introduction explains, the book answers these questions: How can we write a book that will help teachers use technology wisely in the classroom? How can we write a book that is easy, smart, and portrays the vast and complex topic “using technology to enhance learning and making it fun and meaningful”? The book includes stories, advice, and how-to articles designed to help high school teachers and their students shift from classrooms that are isolated and teacher-centered to digitally rich environments where learning is student-driven and constantly connected to the global internet. So between January and April, you and your students managed to produce a 219-page book, plus videos. Tell us more about what went on from day to day. Early on, I reached out to my PLN (personal learning network). We asked people from all over the world to respond to a series of questions. [See their responses on this Google doc.] When my students saw that people were telling them that this book seemed like a good thing to do, that gave them confidence. We wanted to make our learning transparent. We used collaborative tools like Microsoft’s SkyDrive and OneNote. That meant that everyone could see what everyone else was researching and writing. Instead of students giving their work to me, and me putting it together, they could all see and respond to each other’s writing. Early in the process, I asked four students to be project leaders, and they never disappointed me. They stepped up, and they got the job done. I assume the trust I gave them by assigning them to leader roles gave the students the confidence and motivation they need to work harder. Chapter editors also were important to monitor the work on different chapters. One girl told me she had a secret dream of being an editor. She said she always liked the first chapter of a book the best because it sets the tone for the whole book. Now she had the chance to be the editor of that first chapter. In a project like this, you learn things about your students that you’d never know otherwise. Each chapter begins with a video interview with the chapter editor. The videos were produced by third-year students from our high school. 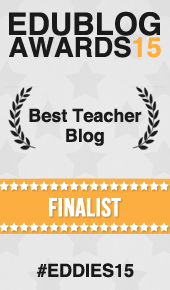 How can other teachers use the technology tools that your students chose to write about? My students wrote about Quadblogging, iTunes University, Twitter, Skype for Education, gaming for learning, Facebook — all the tools you’re hearing about here at ISTE. They also wrote chapters on digital literacy and 21st century skills. Teachers can use the book to set up their own global classroom where learners are connected to the world. Show your students the importance of connecting. Thin the classroom walls and let learning spiral out into the larger world. Did this project satisfy your desire to write a book? The most popular topic to write about in this book turned out to be motivation. It is ironic that motivation and innovation are topics we discuss on almost every level in education, from policy makers and educational experts to school leaders and teachers. We are simply missing the most important link here-we do not spend enough time discussing this with our students. My students’ reflections in this book show us that we should spend a lot more time discussing important topics like motivation, learning, pedagogy, and technology with them. In this book, we provide many great examples and discussion topics to get us started.